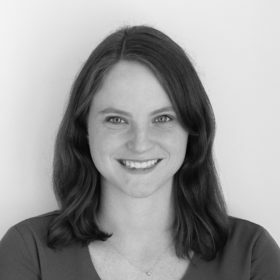 Jesse Steinmetz is a director at Hamilton Place Strategies, where she leads on strategic communications, strategy consulting, and public policy issues for clients in financial services, technology, healthcare, and energy. Recently, she was embedded for a six-month assignment at a financial services company in Zurich, Switzerland, where she served as a strategic advisor. At HPS, Jesse specializes in CEO and corporate positioning and thought leadership, crisis and issue management, and corporate and digital communications. She develops and implements comprehensive public affairs campaigns for Fortune 500 companies, coalitions, and trade associations. She has led on research, analysis, and visualization for proprietary client and firm data products. Prior to joining HPS, Jesse worked at KCSA, a strategic communications firm in New York City. In addition, she interned at the White House. Jesse is originally from Houston, Texas, although she grew up in Malaysia, England, and Indonesia. She graduated from Dartmouth College with a B.A. in Government and completed the Tuck Business School Bridge Program.